Discover the perfect first birthday gift ideas for your little one to enjoy. Why give more thought to what you buy your baby for their first birthday? That’s just it, it’s their very first birthday! And I know, as you can imagine, each toy will not be cherished for the entire year. But every gift is not created equal! You want to buy something affordable your child will love, yet not outgrow within a two-week period. So many toys to choose from, right? How do you know which ones your child will love? 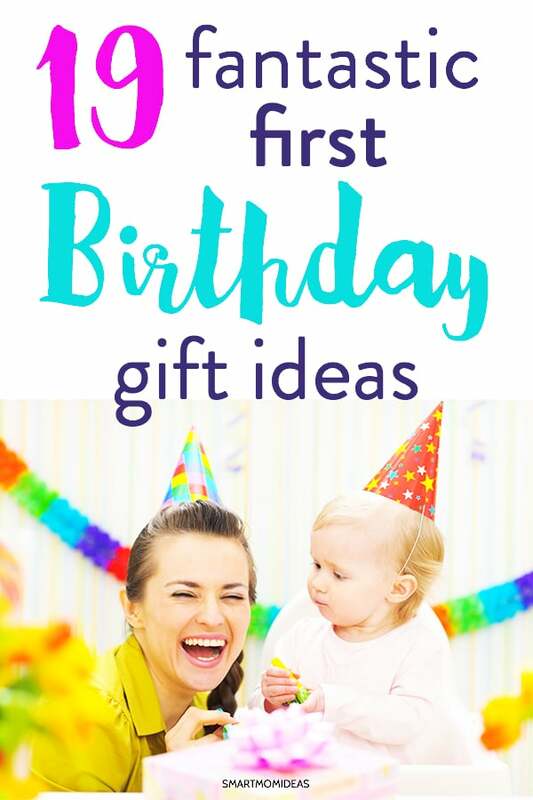 Here are some of the most popular first birthday gift ideas for toddlers on the market, mama. Pick a gift you’ll be surprised your child is still playing with long after the big day. Children love to role play things we do in our everyday life! Give your child the fun of exploration, creative thinking, and hand-eye coordination skills. This 24-piece set is safe for kids and includes a variety of plastic fruits, veggies, and other foods as well as a play knife and cutting board. Watch out, there’s a new chef in town! Let your child’s mind run wild as they cook up little concoctions. Note: This includes small pieces. To prevent choking, it is important to make sure your child is supervised while playing with these toys. The first couple of years are filled with so many firsts. Pretty soon (if not already), your baby will start talking! Help your little one learn all about the world around them through reading and teaching them simple words. Each page of the book is made with hard material (childproof) and built to last! Give your baby a head start and enjoy watching them pick up new words quickly. Root on your toddler as he or she shoots hoops! This is a fun way to get exercise and improve their motor skills. It includes a basketball for shooting and a soccer ball for kicking. It has over 50 songs, sounds, phrases and introduces numbers and shapes. It even has a scoreboard that lights up! Old McDonald never gets old! This toy tractor comes along with a farmer and 4 farm animals (a cow, pig, horse, and sheep). Each animal can be taken out of the tractor. Put each animal back into the tractor and push down to hear the sound that animal makes! Boys and girls alike love this! Let your kiddo throw a party of their very own or just enjoy playing around in the kitchen (with no real pills of course!). This set includes a play kids table, play food, play drinks and dishes. It even has a fake knife and cutting board to accompany the fruits that are pre-cut in half and are self-stick. I’ll admit this is not something you would typically find in the children’s toy department. But hey, babies love this! Funny thing how they can actually find this more delightful than playing with their own toys. Buy an average wallet from the store and stock it up with some plastic cards just like a regular wallet. Who would’ve thought that this would be in the list of first baby gift ideas? You don’t need cards that actually mean anything. You can use old gift cards, old library cards, or old rewards cards. Makes no difference to your child! It’s just fun for them to take the cards out. If there’s a picture slot, add in a photo or two for them to look at. Then let them have at it. They’ll love it! This cube has so much to do! Give your child a toy that improves hand-eye coordination and helps your child to learn about cause and effect. Kids love hands-on learning activities as it holds their attention for a while. Let them open doors and spin the spinners on each face of this 5-sided cube. The cube has rounded corners to prevent injuries as well. Give the gift of music. This musical set includes 24 pieces of shaking, taping, beating, and blowing instruments. Through creative play, your child will learn about beats and rhythms and…fun! Note: the shaker eggs are a choking hazard and your child should at all times be supervised while playing with them. Let your toddler play happy baby music until their lil heart’s content, mama. While there are many magnetic drawing pads out there, this one tops all of what I’ve seen. It offers a creative space for freestyle drawings but it also teaches children how to draw anything from a simple line to 26 different shapes and objects. You can also customize it for your child. It will teach them step-by-step how to write their name! Okay, okay. I know this isn’t a toy your child will enjoy at age one. BUT…it made the list since it’s still an absolutely adorable way to mark the first year of your baby’s life, mama! It’s all about the memories. When will they ever be this small again? You don’t have to wait until your child’s 18th birthday to look back at this keepsake. Over the years (trust me), you’ll want to look back at these memories over and over. Capture it now and think of it like a gift to you and your baby (which you’ll appreciate over the years). Stuffed animals have been a hit with children for many years. Most children have at least one favorite stuffed animal friend. This set comes with six safari animals. This is perfect for long car rides or going to restaurants for supper. What do kids do best? Take stuff apart of course! So let them. A major part of your baby’s learning experience is to learn via hands-on experience just how things work. This workbench has plastic working tools as well as a shape sorter to keep your child busy and learning. This might not be the first thing you’d think to give a child for their first birthday. But snack cups come in handy in more ways than you can count! Whether you’re on the go, or just hanging around the house and want to give your child a little snack, these cups are amazing. It’s a great way to encourage your child to eat independently while preventing spills and extra messes. Your little one will enjoy the music and sound effects coming from this guitar. Bring out the creator in your child. At age one, they are so taken up with blocks (it’s almost unbelievable). This set includes a variety of shapes including cube, cylinder, triangular prism, arch, rectangular prism, and more. This is a great way for your child to have some fun outdoors or on the porch if the weather permits. This splash table even comes with an umbrella to shade from the sun. Your child will learn shapes and animal sounds with this 8-piece puzzle. Each farm animal makes a sound and will help your child eventually connect animals to the sounds they make. It’ll also improve their memory and thinking skills as they try to put each piece of the puzzle together. You’d be surprised how a toy so simple can keep your child engaged for more than 5 minutes! Each bright colored sphere is meant to be stacked, wobbled, and balanced on top of each other until it all comes crashing down. Then the fun starts again for your baby! Try it out! Another perk is that it’s not messy and the set can be easily transported. This toy has a 5 level ball-drop ramp that has a different bright color for each level. Start by placing the ball on the top ramp and watch it swirl around and drop to each lower level until it reaches the bottom ramp. You’re child will watch in amazement at how the ball rolls and the hole that it drops from. They’ll want to do it over and over! It’s a great way to talk with your child about the different colors and verbally tell them what’s happening. They may not be able to express it with words, but they’ll sure find it fascinating. There you go, mama! 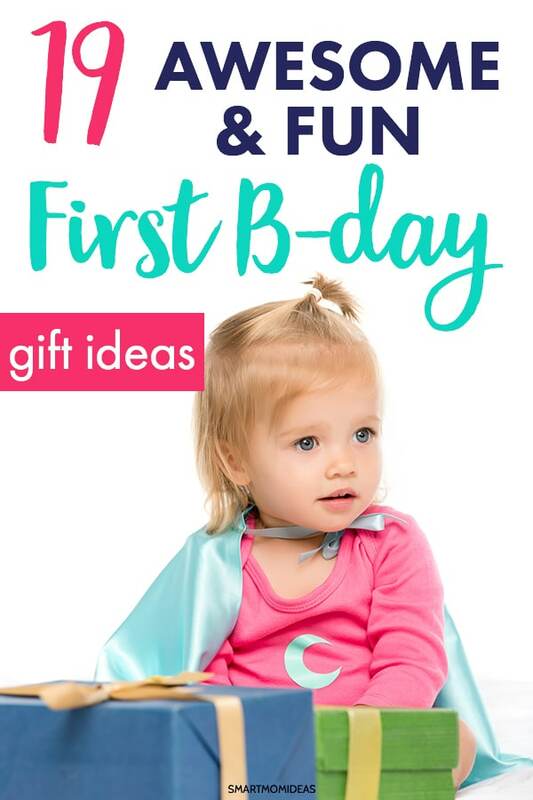 Bring on the giggles and the laughs by choosing a gift your child will love on their first birthday! They’ll only have one first birthday, so plan well. Oh yes, and it may not seem like a big deal during the party, but take LOTS of pictures! I know the planning process can be a bit stressful. If you have your hands full, it may be a good idea to have a designated picture-taker to capture all the great shots. First birthdays are always so exciting! And it’s just as fun to look back on the memories. Over to you mama! 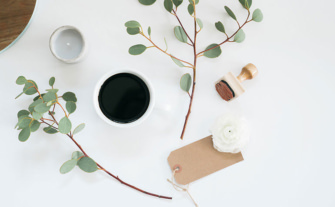 What are some of your best first birthday gift ideas? Share with us in the comments below. 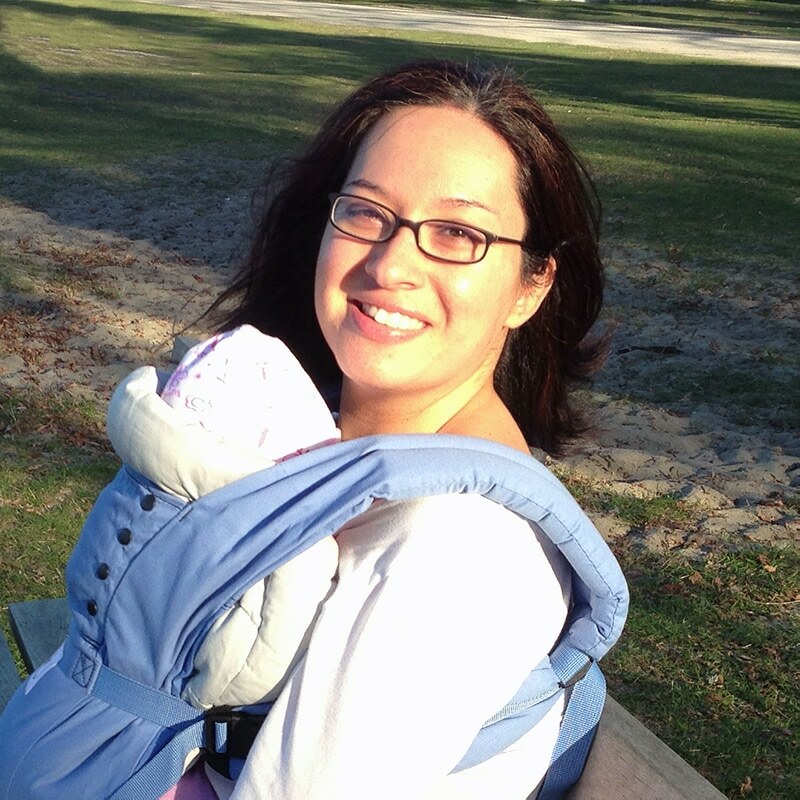 Elna is a mom to twins who blogs and writes for a living. She loves all things mom. While she's not blogging, you can find Elna meal planning, organizing and helping other moms in her Facebook group, Mom to Mompreneurs.